This is a guide to the official calendar of popular festivals in Cordoba for 2018, as well as cultural activities that take place in the city during this year. The contest of nativity scenes in the city is valid from December 15 to January 5. The Nativity Scene of the Provincial Council can be visited from December 5 to the 6th this month. The cavalcade of Their Majesties the Magi of the East will be the 5th of this month as is tradition. The contest of Carnival Groups begins on the 14th and ends with the Grand Final on the 1st of March. From day 22 you can eat snails in the typical stalls. The Carnival Parade will take place on the 10th of this month. This year Holy Week is celebrated between April 14 and 21. The Wine Tasting Montilla-Moriles starts on the 25th and will be open until the 28nd. The Pilgrimage of Santo Domingo will take place on the 28nd. The May Crosses Contest begins this year on the 1th, the Crosses can be visited until May 5st. The Battle of the flowers is celebrated on the 5th, initiating the “Mayo Cordobés”. The Festival Courtyards is celebrated from the 6st to the 19th. On the same date the Contest of bars and Balconies is celebrated. The Pilgrimage of the Virgin of Linares on day 12. The Fair of Our Lady of Health will take place in the grounds of Arenal from 1May 31 to June 6. Popular Verbenas of the different neighborhoods begin from this month until October. The White Night of Flamenco can be enjoyed on the 15th in different stages of the city. Guitar Festival, which this year can be seen in the first half of July. 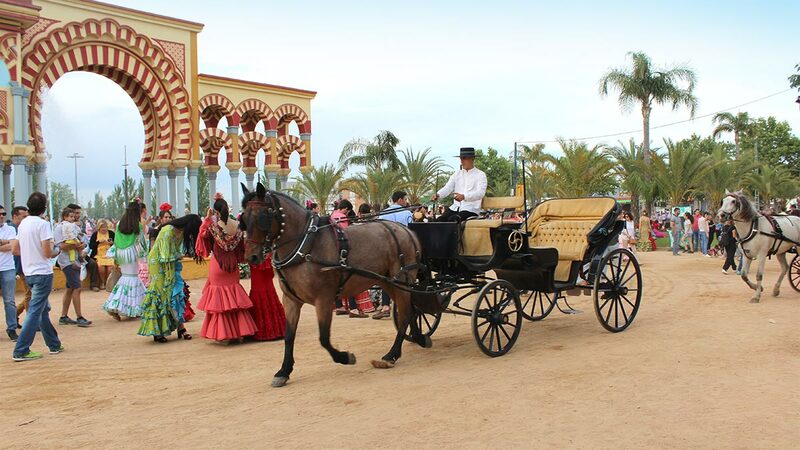 The Velá de la Fuensanta will take place from the 5th to the 9th. Cabalcor opens its doors from the 19th to the 22th. Cosmopoética, in this year’s edition, it is celebrated from the 27th of this month until October 5th. The season of roasted chestnuts begins. The International Festival of Flowers is still to be confirmed this year. So far all the parties, fairs and events that will be held in the City of Cordoba during this year 2018. From website Siente Cordoba we can not be held responsible if there are any changes in the published dates.